The application of nano science and technology in cementitious composites is reported in the late 1980s and gets into an active period in nearly two decades. 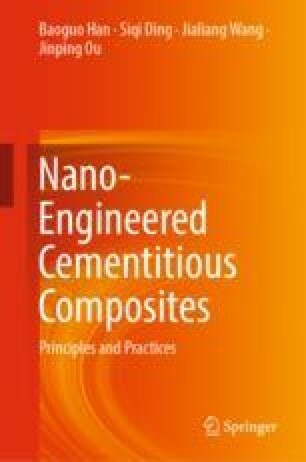 The different strategies including manufacturing nano-cement and mineral admixtures as well as incorporating nanomaterials have been proposed to develop nano-engineered cementitious composites. Thanks to the nanoscale-induced reinforcing/modifying mechanisms, the nano-engineered cementitious composites have the improved structures. Thus, they feature enhanced mechanical properties/performances and durability as well as unique multi-functional/smart properties/performances, which are closely relative to the compositions and fabrication/processing of nano-engineered cementitious composites.